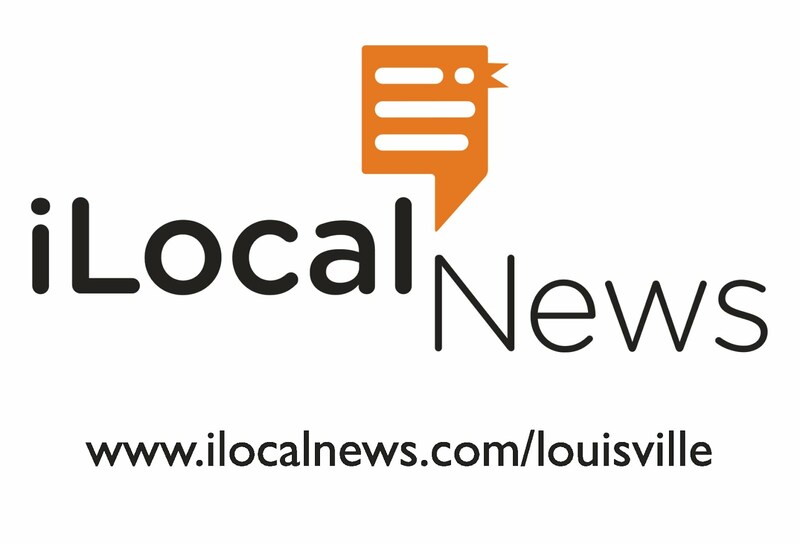 Tonight we focus on the departure of Police Chief Robert White and a whole host of other issues on Louisville's only local Political News program. Listen to Ed daily from 7-8pm!!! Don't forget to subscribe to Ed's newsletter and podcast at The Ed Springston Show. 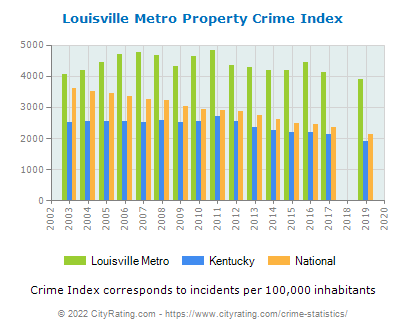 Louisville's Crime actually got much worse during Robert White's tenure as Police Chief. After being the one who broke the story yesterday of Chief White's decision to leave for Denver, I then sat back a few hours and waited for mainstream media to catch up since they didn't even know it until I broke it. What I was waiting for was simple. I wanted to see how they portrayed the news. Taking aside they actually got the story from my site (with no credit as usual), I wanted to see if they did the typical fluff piece. Honestly I was not surprised at how bad they handled it. Mayor Greg Fischer of course portrayed Chief White as almost a hero in his press release and subsequent media conference at 3:30 pm yesterday. "Chief White has been a high-caliber leader who has made our city safer and who has earned tremendous respect across the city,” Fischer said. “It’s not a surprise that, over the years, many cities have tried to hire him. Denver is gaining a police chief of high integrity." Let's ignore for a moment that NO other City to date wanted him. Atlanta, Chicago, Dallas. All turned him down for good reason. By the way have you ever seen a person of such "high caliber" uproot and leave to go somewhere else for essentially no significant pay raise? That is what White has just done. What? That can't be true, can it? Very much so. Crime has gotten worse under Chief Robert White and most certainly because of the way he handled his responsibilities. There have always been two sets of rules for this department under White. One for him and another for everyone else. Reclassifying a felony breaking and entering to a criminal trespass to satisfy some reporting standards is a crime. Creating the illusion felony crimes are lowering is a crime in itself. Yep these things are a daily occurrence under Chief White and his lovely longtime girlfriend and assistant Yvette Gentry. Classifying a crime from one to another classification does not mean crime is getting better. It means there is a system in place to create false reporting. Of course I am being told Mayor Fischer loves Yvette Gentry and she is who he wants. Mayor Fischer? One word of advice. Stay away from her as a replacement. She will not pass muster and will be an albatross around your neck. Chief White can be blamed on someone else, fully on Jerry Abramson, but this decision will be your burden to bear alone. None of the officers that would be under her command respect her in any way. That will unleash all kinds of problems in a department that has felt powerless and leaderless for so long. Think morale is bad now? Just wait if you make that appointment. Perhaps Fischer should be talking to the real people who have worked under this Chief of Police. Morale has not been any lower. It is a constant struggle to be treated equally within the Department. And let's not forget about many "rumors" of Chief White drinking and driving, think Blackiston Bowl, or a nickname of Captain Cannibas to some, the cover ups for his son who was just recently arrested for domestic violence, or even his long time affair with now one of his commanders in Yvette Gentry. We have yet to see the bill for the damage done to his city owned car by his son either. Yep this Chief brought plenty to the table but none of it good. All of which was outed as far back as 2006 when Abramson was touting Chief White during the Mayoral race while myself and Kelly Downard were stating the truth about him. Of course this is yet one more example of Mayor Fischer being saddled with the problems of former and current Lt. Gov candidate Jerry Abramson. A quote from Jerry Abramson? Abramson said in a prepared statement: “We gave Robert White an audacious challenge — to unite two very different police departments, to restore the community’s faith in our police force and to make Louisville safer. And lipstick on a pig makes one a supermodel. Abramson as usual continued to ignore the fallacies of this Chief simply because he ALWAYS hires people who will do exactly what he tells them even if it is wrong. Chief White was no exception to this. He was hired to play ball and go along with what Abramson wanted and continued in that role until he could not any longer. To the good folks in Denver. Sorry about your loss. It is a loss to hire a Police Chief who clearly in this case has been a failure in every avenue. Free advice? Do the research on his career. Check out Greensboro, NC, and everything here in Louisville. You will find a dismal record of failure, reports of corruption, cover ups. You name it they are there. And all by design to protect one element of the community at the expense of another. After all is said and done, you folks have just been bamboozled. Remember that in your next Mayoral election. When you start singing the song "hey,hey,hey goodbye" to your new Chief and the Mayor who hired him do two things for me. Make sure you mention me to them that will make their day, and secondly? Please Dear God keep him out West, we don't want him near here. Listen to Ed daily from 7-8pm!!! Don't forget to subscribe to Ed's newsletter, rss feed, and podcast at The Ed Springston Show. Yep you heard it here first folks. Louisville Metro Police Chief Robert White has been spending major time in Denver trying to secure the Chief of Police job there and I am being told it is official. There should be an announcement later tonight. Of course with this in mind all kinds of questions come to the surface. What becomes of his son who was jailed recently because of domestic violence involving his wife? The rumored reports of his city owned police car being destroyed by his son at the same time? More importantly, who will replace White? Will it be his longtime girlfriend Yvette Gentry? Let's hope not as there is PLENTY of negatives there to cover if they even think about it. In the meantime stay tuned for more on this as it develops. What district do you live in now? Ford Motor Company has a new contract with the employees of the car maker's two Louisville area manufacturing plants. What does this mean for the UAW workers and the metro area? Join Ed and Dale for an analysis of the contract and the $6000 signing bonus. Louisville's own Ed Springston speaks with David Adams, former campaign chairman for Senator Rand Paul and current Executive Director for Kentucky Knows Best PAC. Lt. Governors debate aftermath, David Williams, Jerry Abramson, and more Louisville News. In this episode we review the candidate's performance. Hint; Jerry Abramson was on cruise control. If this was a closer election for Kentucky's Governor would he have helped Beshear? Questions for next week on Louisville's only hard hitting political radio show with Ed Springston. What could David Williams possibly do in the next week to pull out a win? Listen to Ed daily from 7-8pm!!! Don't forget to subscribe to Ed's newsletter and podcast feed. Leave us a comment or question below. 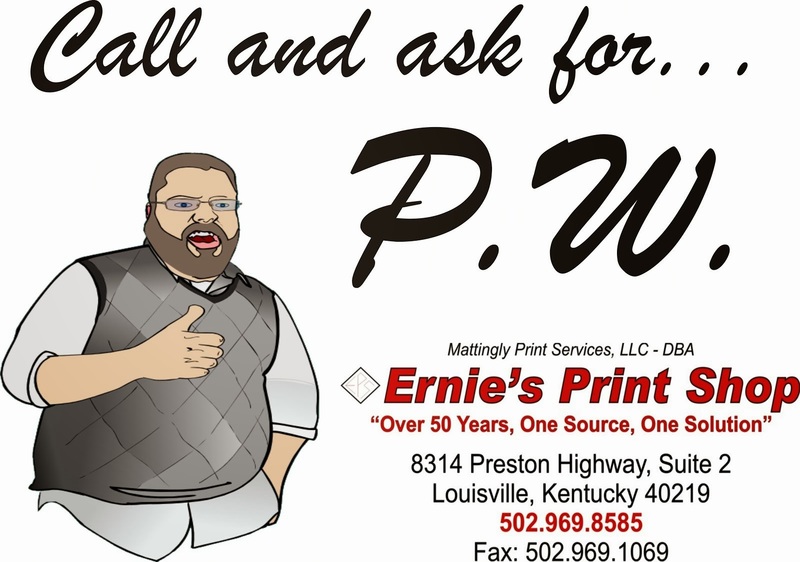 Louisville's own hard hitting political radio show with Ed Springston. gu·ber·na·to·ri·al/ˌgo͞obərnəˈtôrēəl/ Adjective: Of or relating to a state governor. The Ed Springston Show for October 20, 2011. Moammar Ghaddafi dead, Osama Bin Laden disappeared? What is Next? 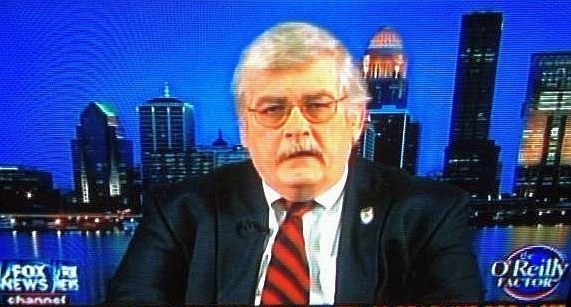 David Williams Gubernatorial plight, Louisville Attorney's Defending "Restore America"? US Congress, representation census explained. Indiana and Obama voter petition fraud, news from the GOP debate, and Dale "the truth" Gillespie. All tonight! Here is a great read from a very angry parent over the current school transportation and assignment plans. Jefferson County Schools are in a huge mess and our new Superintendent needs to put her foot down. There is no reason to keep fighting an unconstitutional battle and wasting more tax payer dollars. WAKE UP Board of Education members. IS ANYONE REALLY SURPRISED BY LOUISVILLE METRO COUNCIL'S VOTE? No big surprises here folks. Last night the Metro Council overwhelmingly voted for Attica Scott to replace Judy Green as the District 1 Councilperson. Her term will expire November of 2012. Of course that is if she doesn't get reelected then. On a vote of 18-7 in favor of Scott, over attorney Courtney Phelps, Ms. Scott was then sworn in by Judge Sean Delahanty. Of course I turned the channel when I saw he would do the swearing in. I did after all want to keep my dinner down. In the meantime there were some fireworks during the dog and pony show thanks to Metro Council Member Mary Woolridge. Councilwoman Woolridge concerned her handpicked Judy Green successor Phelps. Knowing that the fix was in, yep I told everyone on the Ed Springston Radio Show weeks ago that Scott was the chosen one, Woolridge decided to berate her Council colleagues by accusing them of making back door deals to insure Scott was selected. All I can say is WOW. Of course they did. Anyone who believes otherwise let me know if you would be interested in some prime Arizona swampland in the Mojave desert. Now what was so comical was how quickly each Metro Council member had to be recognized and allowed to speak and defend their honor. Deny. Deny. Deny. And that my friends was laughable. I know firsthand how some of these Council members speak away from the public eye about anything and everything. This appointment was no different. I mean they had 13 supposedly excellent candidates to choose from and they only considered 2? I say supposedly because many Council members were acting like they really cared about all the applicants, and feeding their ego's trying in my opinion, to make them think they were considered. For all of you applicants? Nothing could be further from the truth. Sorry. Seriously, I know most of you wanted to serve for the right reasons but you were just given a standard politics 101 pat on the head. When George Unseld died, and that seat became vacant, we had to witness incompetency at its best. That completely bizarre process resulted in the appointment of Independent Deonte Hollowell as Unseld's replacement as the District 6 Councilperson. 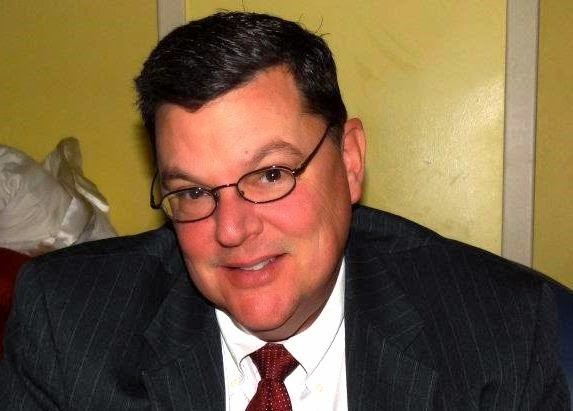 Hollowell was the sacrificial lamb in that selection process because the Democratic majority knew they would welcome a new Democrat to replace Unseld in the coming regular election. Unseld had not been very productive in recent years so they felt they could put anyone in there and it would be ok. Thus sacrifice Hollowell so neither party could be blamed. The Democrats didn't mind then because they felt that was a "safe" seat for them. The Republicans didn't mind thinking they could somehow make it backfire on the Democratic Council members. Besides it was only for a few short months so there would be "no harm, no foul" if you will. WHY SO MANY NOMINATIONS FOR UNSELD'S SEAT BUT NOT FOR GREEN'S? Because Metro Council learned that we the people paid attention to the circus and they would not let us see just how bizarre they really can be again. Woolridge wasn't lying. The problem really was the messenger. Councilwoman Woolridge has first hand knowledge of numerous back door deals she herself has been involved in. Thinking otherwise is not logical to me. METRO COUNCIL HAD BEHIND CLOSED DOOR MEETINGS AND ONLY 2 OF 13 APPLICANTS WERE SELECTED AS "NOMINATIONS"
Attica Scott was handpicked a long time ago to replace Judy Green at the conclusion of this fiasco. Phelps was merely tossed in as a "legitimate" compromise because of Mary Woolridge. In my mind there is no doubt of that. They knew they could ill afford to have another circus show like the one in District 6, and they certainly could not just appoint Attica without making it at least appear like there was someone else. FOR FUTURE REFERENCE, WE DID GET TO SEE SOME INTERESTING METRO COUNCIL ACTIONS. One? Mary Woolridge is just like a little kid who gets picked last to play basketball. If she don't like it she wants to take her ball and go home. Childlike behavior throughout on her part. Two? Woolridge just found out she has no power. She should be careful accordingly as her Council colleagues just may make her the next example such as her good friend Judy Green was. Three? Never trust a Council woman scorned. Woolridge just outed what we ALL know exists out of spite. Collusion behind closed doors. Makes you wonder if we would have ever seen such a display if Jerry was still in charge doesn't it? This should be a great example of just why we need transparency at every level. Bottom line. While none of this is surprising, it is a glimpse into what we can expect from our elected members of Louisville Metro Council in many ways. The sad part? None of it is surprising, not a bit. Louisville Police Chief Robert White says "Officers acted properly". This just in and details are a bit sketchy but here you go. An anonymous source contacted me and told me that Chief Robert White's son was involved in a domestic dispute last night around 12:30 am that involved throwing his girlfriend out of the car while traveling at a high rate of speed. Update 6:05 pm: WLKY is reporting that White's son is being held on $50,000 cash bond and that the woman in question was his wife Alexa. This incident happened yesterday at approx. 5:30 pm so why did mainstream hide it until this afternoon? From what I am being told, allegedly White's son was driving at a high rate of speed while arguing with his girlfriend. At some point he allegedly forced her out of the moving car and she was taken to the hospital with severe injuries. Two police officers from domestic violence were called to the scene and arrested White's son. I will supply those names when necessary. It is also being alleged that Chief White himself went to the jail raising all kinds of hell about his son being arrested. Furthermore, I am being told he didn't even ask about the condition of the female involved. I am working on verification now. OCCUPY WALL STREET, STAR PARKER, AND MORE! My good friend Mike Maharrey over at the tenth amendment center posted this recently and you should read it. www.tenthamendmentcenter.com/2011/10/08/occupy-wall-street-a-blank-slate/ . Seems the roots of this whole occupy Wall Street movement are imported. Can we in America not even organize ourselves anymore? For those of you who know of Star Parker, Ms. Parker will be the featured guest on The Ed Springston Show Tuesday night at 7 pm and can be heard live at www.blogtalkradio.com/myviewmatters. Star Parker is the President of CURE and a nationally syndicated columnist. Check out more on Star at http://www.starparker.com/ and remember to tune in Tuesday. This is one show you won't want to miss. Seems there are all kinds of questions about the Metro Council redistricting and of course the fab four in the South/Southwest Council districts can't even answer simple questions. 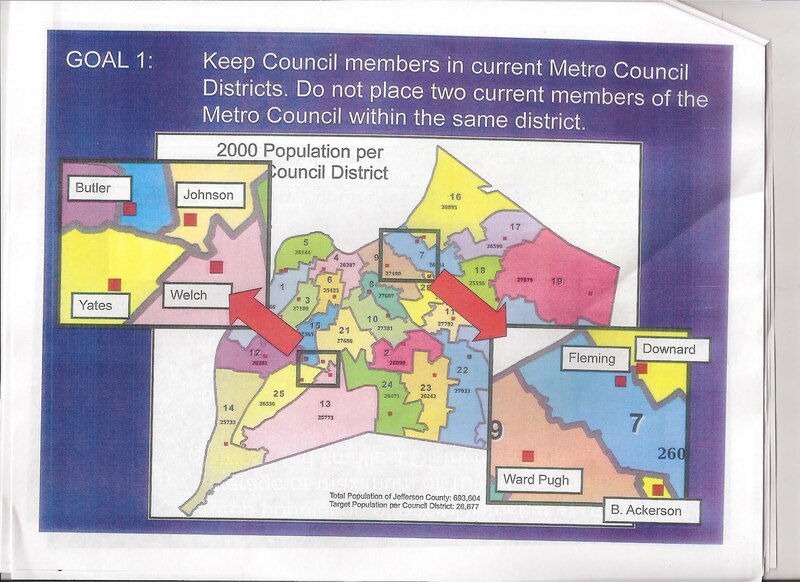 Yep Louisville Metro Council members Blackwell, Yates, Henderson, and Welch couldn't even answer basic info about which precincts would be changing in their proposed redistricting plan. 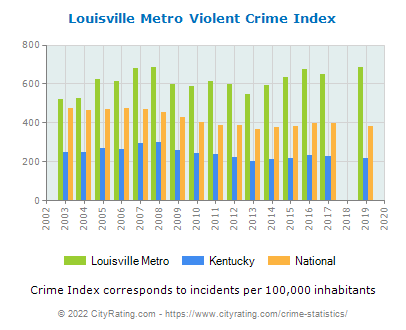 Funny how other Louisville Metro Council members such as District 19 Councilman Jerry Miller has had this info available for his constituents for some time now. Shouldn't we expect better by now from our elected leaders in the South/Southwest? You would think a high school teacher (Blackwell), and a lawyer (Yates), would at least know how to conduct an informational meeting. Finally, apparently MSD has made a great deal for Bud Shardein. There is money apparently being paid into a trust fund quietly established in 2008 and is on top of Shardein’s annual salary of $181,147 and benefits, including a government pension. If Shardein remains in the job for another 15 months he gets the money. One has to wonder where the CJ has been for all these years in regards to MSD. Now that Abramson is gone they finally do some real work? Stay tuned this will get better I am sure. That's it for now folks and remember to tune in to The Ed Springston Show Mon-Thurs at 7 PM to discuss all this and more! You know I am a bit behind on actually writing about this story. Though we have covered it extensively on "The Ed Springston Show" actual writing time has been limited so here you go. Is OCCUPY WALL STREET relevant? In many eyes, mine included, not necessarily so. Though I have always advocated, and continue to do so, that people need to take to the streets in protest, the whole occupy wall street movement just does not seem to fit with any perceived agendas. There appear to be NO demands and NO direction. It seems that people are protesting just to be protesting with no thought to an eventual outcome. If you are going to protest then have an agenda or an end result in mind. It seems on the surface that this group is an ultra left wing attempt to match the TEA party success but it is doubtful they can get close. For starters there has been an "unofficial" list of demands that have been accredited to a single individual which I find suspect to begin with. Though I am no fan of mainstream media in general, even mainstream would not blame an entire movement on the ramblings of a singular individual. Not in a mass protest of this size anyway. OCCUPY WALL STREET demands "unofficially?" Demand one: Restoration of the living wage. Demand two: Institute a universal single payer healthcare system. So why would they even list this if they didn't want someone to infer that they may be behind these demands? Who knows but we do have to face reality here at some point. This list of "possible" demands just is not realistic. Suppose America itself banded together and gave in to just the above demands. Would we better off? Of course not because it is fundamentally flawed. Free education? Great I'm for it, but how will it get paid for? Taxes? So how much do you want to pay out of your income to provide for a free college education when we have done such a pathetic job of our lower education possibilities. What is the value of a degree currently, when so many cannot even find a job within their career field. 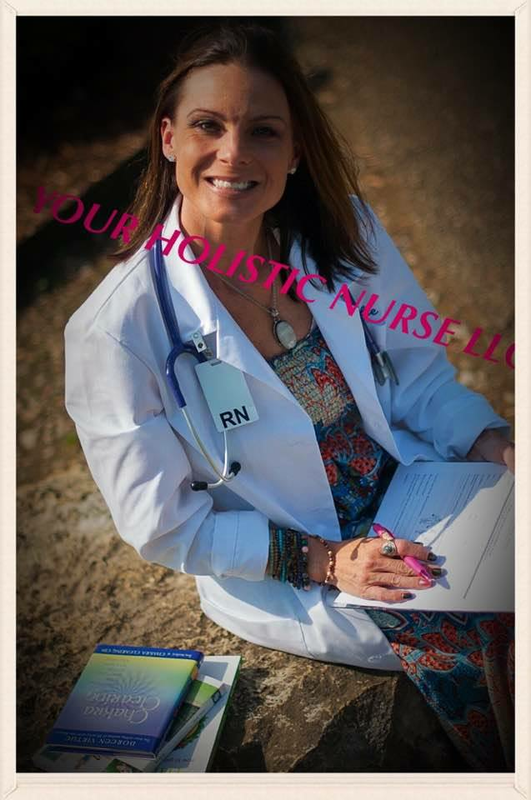 How much more value would that degree have if everyone had one. Define living wage and what amount would be considered a living wage. If you base it on today's economy that number would be less than one in a different economy where everyone was making the same amount per hour. Say you make it $15 an hour. Sounds good when you make $8 or $9 today right? But what happens when you raise the wages across the board to an equal level? Trickle down economics come into play. As an employer when your costs go up so does the price for your goods, or services accordingly. Those costs have to be paid for by someone. Contrary to popular belief, the regular small business guys that are the backbone of our Nation's employers simply do not work on a profit margin that would allow them to pay without increasing the price of goods or services. I have to be honest here as well. Guaranteeing someone a "living wage" for working the counter at a Thornton's, or asking if you want fries with that at McDonald's, just doesn't seem appealing to me. Those type jobs were always designed to be starter jobs. You want more money go work for it. Make yourself marketable. It really is that simple. To think that anyone should be guartanteed the same as everyone in an economical sense is absurd. There will always be givers and taker sin this world. It is human nature. I am not going to give to someone who doesn't want to attempt to earn it. That is a major problem today with this type of mindset. I am as angry as anyone at Wall street. They are the greedy pigs that are destroying this Country. But I don't blame them or the Corporations. I blame our elected leaders. Our President. Our Congress. We elected them to represent our interests and they have failed miserably. We can put a name and a face on each and every one of them and know who to blame for our problems today. The corporations themselves are a nameless, faceless entity. You want to make a difference? Quit being the ultra left wing liberals who continue wanting something for nothing. Quit playing the victim card and band together. Fight against those who have made us a welfare dependent nation. Both corporate and individual. Start with each and every incumbent in Washington. I am reminded of an old joke. What do you call 100 Louisville Lawyers at the bottom of the ocean? A good start. I would change that to say, what do you call 100 incumbent politicians at the bottom of the ocean?